Occasionally, Leslie and I go away to shore hotels (off-season) to work on our creativity book. This weekend, we chose Asbury Park, New Jersey, one of our favorites, because of a great hotel rate. To our shock, when we arrived, we were told that we were still in time to get makeup for the Friday night Zombie Events. Seeking quiet, we had unwittingly landed in the greatest Zombie convocation in the world, the culmination of which was a Zombie parade, set to break the world record for most people gathered for a Zombie walk. Our first impulse was to flee on the next bus back to Manhattan; but the trouble with those great rates is, you have to pre-pay, and running into Zombies is probably not grounds for getting your money back. Judge Judy would dismiss us instantly. Instead, in the spirit of the Intuitive Edge, we decided to explore, and ask questions. We first went to question the guy on the Boardwalk who does the Zombie makeup. We remained puzzled, and began to walk back over to our hotel. 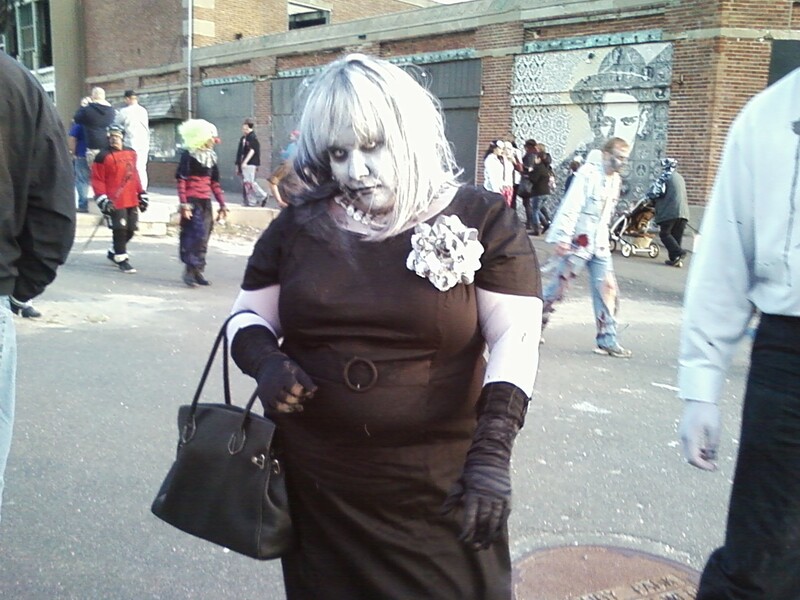 We ran into a number of Zombies, all of whom were extremely polite, considering they were undead, and a few square dancers, who had also chosen this weekend to convene en masse this weekend. Apparently the whole world had chosen this week to come to Asbury Park. 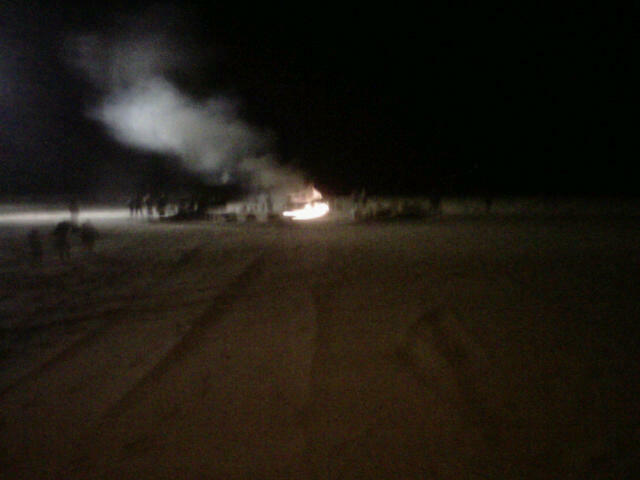 But as we walked back, we saw a huge, beautiful, inspiring bonfire on the beach, with sparks flying to the heavens, apparently surrounded by Zombies, square dancers, and their happy children. We decided to stay. It ended up being a very productive weekend—we wrote and strategized and tried to practice what we preach, creating a schedule of goals, and times, and accountabilities for the book and blog. And as time went on, and a parade of Zombie nurses, prisoners, chefs, fairy princesses, and even a mermaid sailed by, we realized that Zombies are all about creativity. Zombie creators spend time and energy creating costumes, makeup, and back story for their characters, and then join together to share their work—and of course eat brains. It turned out to be the best place and time in the world to work on our creativity book after all. The festival reports over 12,500 people attended. Just a nice quiet October weekend on the Jersey Shore. You are currently browsing the The Intuitive Edge blog archives for October, 2011.